Did I tell you I hate 10k’s??? 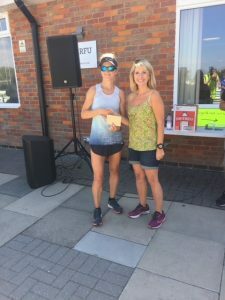 I like that they are over quickly but the pace and especially now moving into ultra’s kills me… I haven’t been to Bearbrook ( Aylesbury) for some years but always love to visit a well-organized race. On arrival it was like I had never left, especially meeting the Race Directors and chatting about what I had been upto. Truth be told today I was feeling tired, not really up for it but again “ Get the job done” it was a hard training run as I am still lacking flat-out speed and the course has a few winds/turns and climbs. I knew today I had competition, Charlie somewhat 15 years my junior went off like a rocket. Annoyingly her finishing time in normal circumstances and marathon training we could have had a very competitive race. I settled for remaining in second place and to pick up speed when my legs woke up. The last 3k was my fastest and went down to 5.40 pace something I hadn’t seen for some time and probably also because I knew the end was coming. 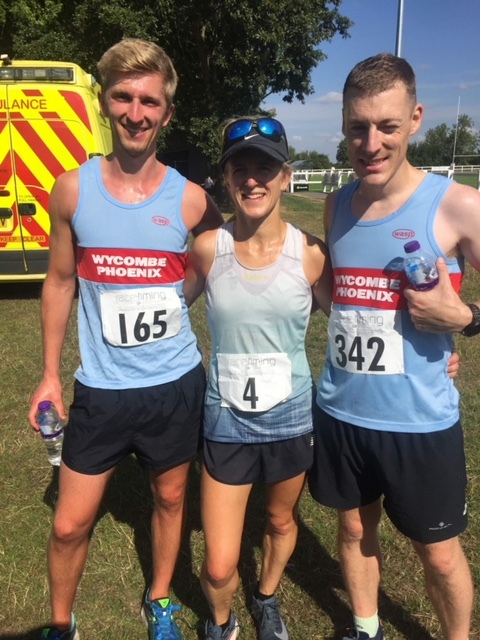 I was pleased with my improvement on Wallingford 10k, especially again the topic of conversation regarding our British Weather “ It was very HOT !” and finishing in 38.25 for second place. After having a swift bite to eat at home I then set off to go and do my PT Core workout cleaning out the Donkies at the local Sanctuary, like I hadn’t done enough.